As many of you already know, over the past few years on Veterans Day, B&B’s and Inns across the US have offered active and retired veterans free lodging for one night. This was started a few years ago as a grass roots program by an innkeeper in West Virginia that has taken off. 2012 should be a zenith year with PAII taking the lead with listing all participating properties on the ‘Better Way to Stay’ website. Striving to improve by reaching out and connecting to more and more vets each year, thanking them for their service, one inn at a time, doing what innkeepers do best, providing comfort and service with a smile to those folks who really deserve acknowledgment for their service and sacrifice. Here is a brief story of one vet The B&B Team is proud to be ‘connected’ with. Before I reveal who this ‘mystery’ vet is I would like to share a quote. For those of you who follow my blogs, you know I love quotes! Well our ‘she-roe’s” name is Donna Pearce, new innkeeper of 15 days of the Admiral Peary Inn in Fryeburg Maine. 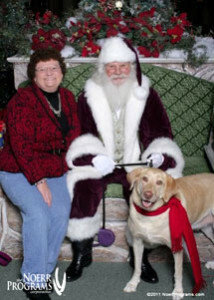 After retiring from the Air Force to early 2012, Donna’s story continues. So you think Donna will offer free nights at her B&B for Vets on Veterans Day? You bet. She also offers like many innkeepers, specials for vets throughout the year. We love Donna’s story and wish her the best in her efforts to strive, improve and grow as new innkeeper and ‘she-roe’ at the Admiral Peary Inn. This entry was posted on Tuesday, August 14th, 2012 at 6:16 pm	and is filed under Innkeeping Events. You can follow any responses to this entry through the RSS 2.0 feed. Both comments and pings are currently closed.